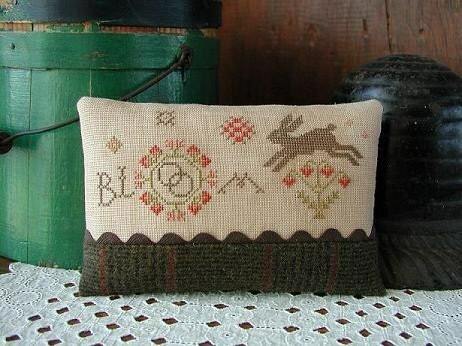 Bloom Sampler Cross stitch Pinkeep Pattern. Design by Nan Lewis for Threadwork Primitives. and stitched on 32 count linen using DMC floss. Pattern is 106 by 44 stitches.